JOHNSON CITY – A joint investigative effort by the Tennessee Bureau of Investigation, the Greene County Sheriff’s Department and the Tusculum Police Department has led to the arrest of a Greene County woman accused of killing a Greeneville man. At the request of 3rd District Attorney General Dan Armstrong and Greene County Sheriff Pat Hankins, on October 30th, TBI Special Agents began investigating the shooting death of 64-year-old David Lineberry. Greene County deputies and officers from the Tusculum Police Department discovered Lineberry’s body at his home on Cumberland Drive on October 29th. During the course of the investigation, TBI Special Agents, working alongside detectives from the Greene County Sheriff’s Department, developed information which led to an acquaintance of the victim as the individual responsible for the crime. 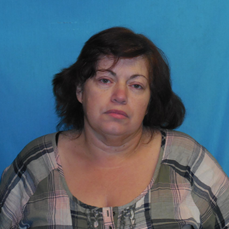 On Saturday night, Greene County deputies arrested Brenda Sue Smith and charged her with one count of First Degree Murder. At the time of this release, the 51-year-old Mosheim woman was being held in the Greene County Detention Center on a $500,000 bond. The circumstances and motive for the crime remain part of the active joint investigation.